Pakistan Army aviation pilots today rescued a Russian climber Alexander Gukov who was struck at 20650 feet high Latok Peak in Biafo Glacier in Northern areas of the country. He has been shifted to CMH Skardu for necessary medical care. The rescue mission was under taken by Pakistan army aviation helicopters under extreme weather conditions making it first ever rescue from such height in Pakistan. 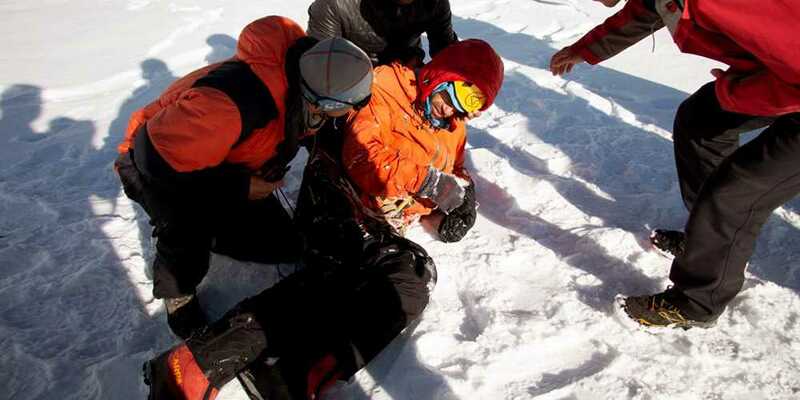 The Russian climber was struck on Latok Top since 25th of this month and had exhausted his supplies since last 3 days.